After thousands of appointments, dresses, alterations and weddings, we’ve pulled together the top tips from our very own expert bridal consultants so you can make finding your dream wedding dress as effortless and easy as possible. 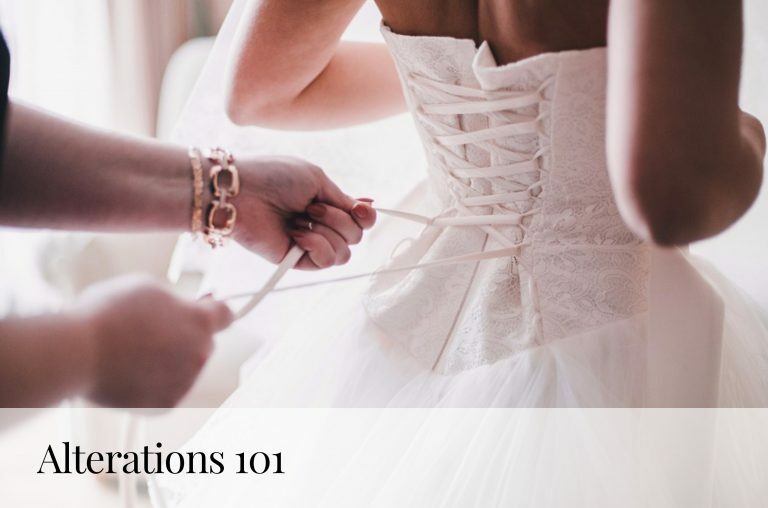 Remember, wedding dress shopping is supposed to be fun—keep this list in mind and you’re bound to find “the one”! Just like preparing for a test or getting ready for a workout, keep your body fueled! This way, you’ll be focused on finding your dress, not when your next meal is! Eat a regular (not heavy—you’ll get sluggish) meal before arriving for your appointment. Come only with your nearest and dearest. Too many opinions = harder decision-making process. Bring a maximum of 5 of your closest friends and family members—and only those whose opinions matter to you and you trust most! 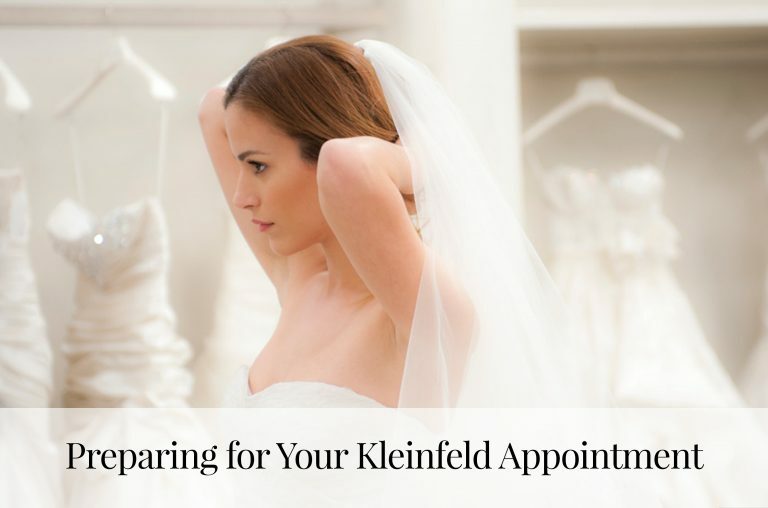 Here at Kleinfeld, weekends are busiest, and appointments are 1.5 hours long. If you’re open to coming in on a weekday, we can accommodate 2 hour appointments—plus, the salon is quieter, meaning a more intimate experience. When you look your best, you’ll feel your best—and that means you’ll be even more excited to try on wedding dresses! Do whatever makes you feel like the best version of yourself, whether that means sweeping on mascara, getting your hair blown out, a mani-pedi, etc. It’ll also help you envision yourself all dolled up on your wedding day. Don’t come empty-handed—bring some ideas of what you’re interested in! Whether it’s photos found on Instagram, Pinterest, magazine clippings, or on our website, come with inspiration to show your consultant. While you might have an overall number you’d like to spend on a dress, don’t forget added extra costs like alterations, shoes, jewelry, headpieces and shipping. Not sure how to calculate your budget? Check out our guide here. Don’t try on too many dresses. Of course you’ll want to try on different silhouettes and fabrics to see what you do and don’t like, but don’t go overboard and try on too many wedding dresses, as this will only confuse you more and make it harder to make a decision. If you come to your appointment with a relative idea of what you’re interested in (or even better yet, dresses you definitely want to try on! ), your consultant will be able to steer you in the right direction and help you get that much closer to saying “yes”! Ready to take the plunge? Make an appointment now! Need inspiration? 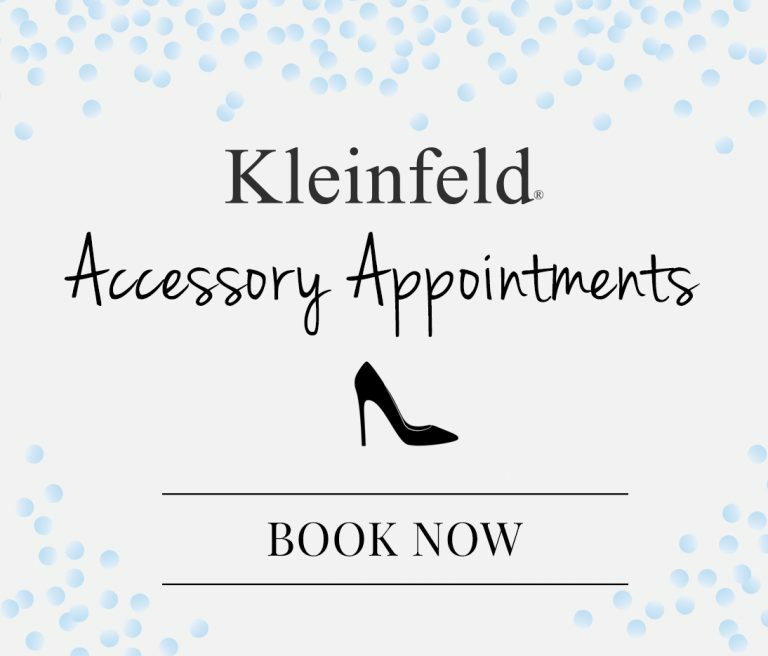 Check out what’s trending at Kleinfeld! Follow us on Instagram for all things bridal!